I have had an interesting beginning of my week. 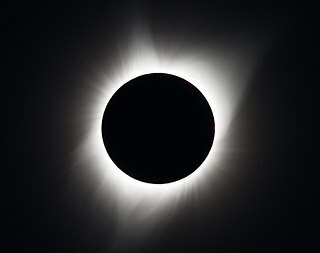 Yesterday was one of nature's most awe inspiring sites, the highly anticipated total solar eclipse of 2017. We stopped our daily lives for over an hour and a half across the country in large cities from the Atlantic to the Pacific, mega highways to dirt roads, national parks to small patches of grass, to organized parties to small backyards gatherings, and stood together to experience the moon's slow trip across the sun, and in some areas, totality, the first total solar eclipse to cross the entire continental United States since 1918. The event had been hyped in the news for weeks, and I have to admit, I got a little tired of hearing about it. I mean, what's the big deal. 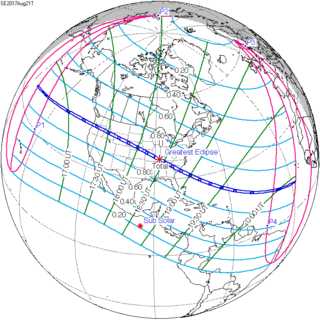 If you think about it, a solar eclipse happens somewhere in the world everyday. If I don't catch this one, there are other chances, right? My daughter picked me up a pair of free NASA glasses [THANK YOU NASA] and my sweet hubby made himself a pinhole projector box. But if I was doing something else, then I could miss it, right? I have never been so wrong, so uneducated, so passive. This event doesn't happen that often and it was A BIG DEAL! I needed to be part of it. But seriously, this day ended up being an experience I will never forget. I was spending my morning at my local library, [South Bowie Library]. I go there when I want to turn everything off and write. I'm trying to have the next book in The D'Azzo Family series, The Analyst, to my editor by October 1st. The quiet atmosphere helps keep me focused. I also don't sign into their WiFi so I can't slip out of that focus by checking Facebook or my other social media playgrounds. After about an hour, the quiet study room became downright loud, very unusual. I poked my head out and there had to be over 300 people lined up along the side walk and in the lobby. Yup, I totally missed the large posters inviting people to the library for the solar eclipse party. The excitement in the children's' voices was intoxicating. But... when I get into what I call 'my zone', I write the most emotional scenes. To stop writing, pull myself out of the D'Azzo's world and back into mine, well, I lose everything. The action in the scene would still be there, but the emotion- the element in the story that brings readers to my stories in the first place, would dissipate, gone forever. The children's voices increased, and at that moment, I saved my document, closed my laptop and joined the crowd. And what a crowd it was. I live in a uniquely diverse area, every nationality and religion represented. People from all walks of life all came together in front of this wonderful library to experience this empyreal event. To think I thought for a second that it could be ignored. I didn't take photos of the crowd because I didn't want to disrespect anyone's privacy, but here is a short piece I found this morning that will give you an idea of what I was experiencing. My Eclipse...No one cared who voted for Trump. Complete strangers were sharing their solar glasses with the stranger next to them because they wanted them to be able to experience the full effect. I handed my glasses to a kid who didn't have a pair, but no one asked me why I didn't take the time to order glasses ahead of time. They just offered theirs to me. Everyone was so kind, generous, considerate, making sure I, in my power chair, had a good view. No one cared that the kids were screaming with excitement at the top of their lungs because we all felt the same childlike excitement. Strangers hugged the strangers next to them because they were so overwhelmed by the experience, they had to share it with whoever was standing next to them. And when it was over, we all said farewell to each other--hopefully a little closer, a little more compassionate toward each other. I can't believe I almost missed a true example of the best humanity. All I can say is thank God for loud, screeching, children's voices.